After one year of creatine supplementation I experienced no change in how I adapt to exercise. My rate of gains in the gym and on the bike had no change. That is, the gains that I made were the same as what I usually expect to see with the training I do. I tried a loading phase of 20g a day for a week followed by a daily maintenance dose of 5g/ day of pure creatine monohydrate. I always had a carb source when taking the creatine, much of the time grape juice. I cycled about 12 weeks on and 4-6 weeks off the creatine. I also tried a low dose long term loading phase 3-5g/ day for 10 weeks. I tried pretty much every dosing regime I could find in the research. Not that there are a lot of loading protocols, there are really only two primary strategies; lower dose loading phase over a longer period and a high dose over a shorter period, followed by a maintenance phase. Maintenance phase is typically recommended to be between 3-6g per day. I experienced no weight gain when I was on creatine, and no weight loss while cycling off creatine. 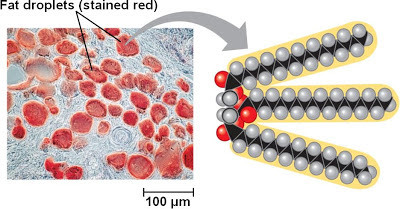 I experienced no weight gain during the loading phase, where some research reports an approximate 1.5 - 3.5 pounds of water gain (creatine holds water with it in muscle cells). I experienced no extra mass gain beyond what I would usually expect from strength training. I experienced no added ability to do more repetitions, no increased power in a set, and no increase in the number of sets I could do before fatiguing. My sprint power on the bike did not improve beyond normal increases, nor did my ability to sustain short term power (30 to 90 seconds). I'm not saying I trained and didn't get results, my performance did increase, but my rate of gain was unchanged from when I was not taking creatine. 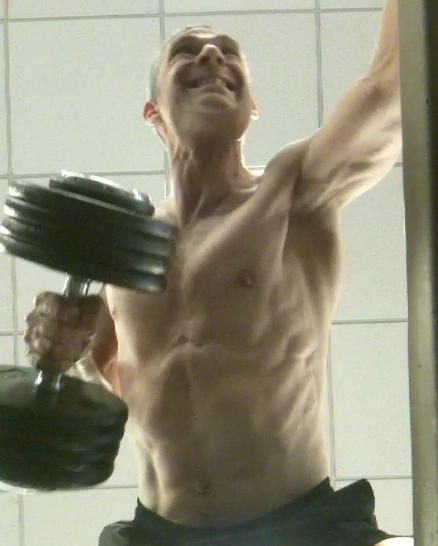 I use a periodized strength training regime with repetition ranges 4-6, 8-12, and above 30. 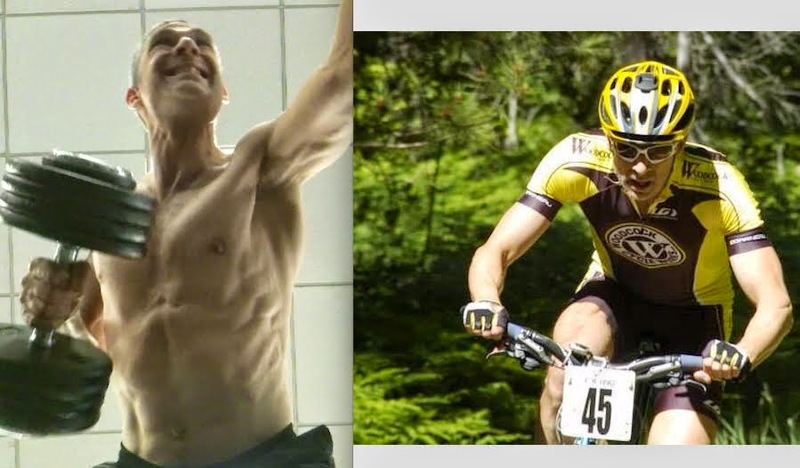 I compete in mountain biking so building huge mass is not an objective, but I do train to offset muscle loss from endurance sport, and to have a small net gain in mass as well, as I've lost mass in the past few years. A few years ago I became quite ill and was not able to train for a few months, I was entirely sedentary with most days spent lying down. On my return to training my ability to train was low and took about a year to get back. Over this time my thigh girth measurement reduced from 61 (24in) to 53 cm (21.5 in). I also lost a couple centimetres off my biceps and chest (about 1 inch). Before some readers take the view that I'm an endurance athlete and don't train for size, keep in mind that I lost mass due to atrophy from disuse, due to illness. I want that mass back, and I train hard (smart hard, not just hard), to get it, but since I am an endurance athlete I can't afford to dedicate myself to a muscle hypertrophy program exclusively. I expect to gain only 2 - 3 pounds of lean mass over a year of training, when considering that I have to train for mountain biking as well. The original intent of creatine was not for mass gains, but rather for performance gains. Creatine is meant to increase creatine stores in the muscle. Creatine is used to generate energy rapidly for muscle contraction, over about an 8-15 second duration. More creatine in the muscle theoretically would result in more energy production where shorts bursts of energy are required, such as in strength training or sprinting. Despite creatine not being intended to enhance mass gains, some research has suggested it may produce this effect, and most gym goers have the belief that mass gain is a primary benefit of creatine supplementation. There was a time in my past, about 13 years ago, where I did less bike riding and hit the gym with the intent on putting on mass. Over 3 years I went from 180 lb at 6% body fat to 197 lb at 6% body fat. I was still riding and doing some competing at the time, but I was tired of being the skinny cyclist and wanted some mass. I put on nearly 20 lb of lean muscle mass. Things have a funny way of changing and I wanted to be the skinny cyclists again. The bike bug returned and I went back down to 175 - 180 lb. After being ill about 3 years ago my weight reduced to 162 lb. Right now I'm at 165 lb at 8% body fat. 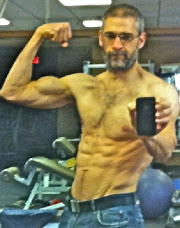 When I first started competing in cycling back in the 1980's I weighed about 160 lb. I'm 6ft 2in. 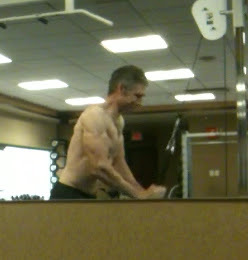 I went to a Golds gym and asked a bodybuilder to help me get stronger and bigger muscles to help me sprint better. The bodybuilder had never trained an endurance athlete before and was pretty excited to take a shot at it. He helped me go from 160 lb to 171 lb over about a year and half. No supplements. I have experience in gaining lean muscle successfully (no creatine), and I'm now training for mass again. My mass gains with creatine are not any greater than without creatine. This makes sense because not all research on creatine shows that every person responds with performance or mass gain. I am clearly one who has no significant results. I keep a detailed training log as well as a body measurements log with thigh, chest, calf, bicep, hip, and waist girth, as well as fat calipers skin folds and a high-end body fat scale. For those who know me or have read my opinions on supplements you may be asking, 'Cris, why would you do creatine?' Isn't it true that I'm always on about how there really isn't any good research that shows 100% conclusively that any of these sports performance supplements do anything at all? Yes, that is my opinion. Actually it's not really an opinion, it's a research proven fact. My main motivation to use creatine was so I could write about the experience. I wanted to personalize what I wrote about creatine. Going by the research, there really isn't any logical reason to believe that any of the so-called performance supplements are going to make a real significant gain in human performance. With a couple exceptions.. creatine and caffeine. Although far from a iron clad consensus, there are studies that show some people who take creatine or caffeine do exhibit a mild increase in sports and training performance. The emphasis is, some people in some studies. Not all people in all studies. The reason why some people don't respond to creatine might be that their muscles already store maximal levels of creatine so supplementing creatine does not load any additional creatine into muscle cells. There may be other genetic reasons that aren't understood yet. It could be that some studies that showed gains failed to use a study method that controlled for natural response rates to exercise between individuals. That is, some people respond to exercise to a greater degree than others and if this isn't considered some of the extra gains may be attributed to creatine when the gains were simply a natural response to training. In studies that are not placebo controlled those on creatine may have a placebo response where they are expecting to feel more energetic when on creatine so this is how they behave. Whatever the case, the take home here is that even with the two supplements that may contribute to performance, creatine and caffeine, neither may have any effect at all in you. Nobody should expect to have miracle results from these pills or powders. If your friend tells you they got great results, that doesn't mean you will, and it doesn't mean their results were from the supplements. They may have simply become more motivated to train because they were excited about being on a pill that makes them perform so they put more effort into their training. When I tell people creatine will most likely not work for them so don't bother, a common comeback is, "how do you know it doesn't work, have you tried it?" I don't need to try creatine to know if it works or doesn't. There is enough research showing the degree of response, if any, that can be expected from creatine. What's the possible practical outcome of taking creatine? If you're a responder you may squeak out a few more repetitions than usual compared to when not using creatine. You may extend the duration you can maintain short term high power output, perhaps by 5 to 10 seconds. If a person actually gets this result, that's pretty good; but few studies show this degree of response occurring, and no studies show this result occurring in all study subjects. You will lose this extra performance once off creatine, but it's possible that after repeated cycles of creatine use a person may retain a degree of the benefit because the small extra training load resulted in a small permanent benefit. A person is likely to increase performance in a competition to a greater extent with a good training taper, diligence with quality sleep and nutrition, and trigger point massage therapy, than they may achieve with creatine supplementation. We know that recuperative sleep, good nutrition, and proper recovery increase performance in everyone, every time. Creatine? Maybe, maybe not, and the degree may not be that great. Reporting research findings isn't enough for many though. So now I can say, "yes, I tried creatine and I gave it an honest try, for one year, and it did nothing." My post exercise nutrition is usually a 250 to 500 ml serving of 1% chocolate milk, sometimes with whey protein added so I can get about 25g of protein post workout. Most of my protein comes from food, about 20-40 grams on some days come from pure unflavoured whey protein for convenience. I consume about 130 -140 grams of protein each day when training. I'm now starting a caffeine study of one on myself. I'll be following researched caffeine loading protocols that reported the greatest effect. I will be taking caffeine pills since the research shows the pills have a better effect (if any) compared to consuming coffee or caffeinated beverages. I don't drink coffee or anything caffeinated. I don't agree with caffeine supplementation for sports performance. As with creatine I want to report on my personal experience. Caffeine and creatine are the two most popular, legal supplements that people use to improve their performance. I want to see if they make a difference in me. Maybe yes, maybe no. No for creatine. Creatine did nothing for me. Stay tuned for my report on caffeine. Did I take the wrong creatine? What about other types? How about buffered creatine? There are no studies that show conclusively that creatine other than creatine monohydrate work any better than creatine monohydrate. Should anyone use creatine? I'm not sold on the idea. I say train healthy with the right work to recovery ratio, sleep healthy, and eat healthy. Stay consistant, and expect small gains over long periods that add up to large gains. That strategy will take you where you want to go, whatever level you're at. Avoid dependancy on pills and promises, train healthy, eat healthy. Here's some phone camera pics of me.. Sorry.. Some day I'll get some good high res pics. I expect to put on a few pounds over the next year.. I'll post those pics at that time. I'm not a strength athlete so I'm not a huge guy, but I'm doing not so bad for an endurance athlete. I'm 46 old. I'll keep this brief and expound a little more on my podcast, coming soon. As a coach I used Lance Armstrong's success as an example of what can be achieved by being disciplined and utilizing sport science. I'd tell my athletes, "this guy is the best in the world and look how much time he spends in the exercise lab. His training is managed via sport science. He tests lactate, VO2, heart rate wattage, and does strength training. This is why he's so good." Indeed there was a steady supply of lab reports extolling Armstrong's extraordinary lactate tolerance via his livers capacity to recycle lactate, and his lung capacity. His training sessions intensity were guided by lactate, heart rate, and wattage, even internal body temperature via a high tech thermometer in a pill he swallowed. Of course, these measures are legitimate, sport science works, but it now appears Armstrong may have been using the public release of this level of detail of his training methods as part of his deception. Distract people from the doping charges by citing his above average attention to detail to sport science and nutrition as an explanation for beating the dopers. The image projected was that Lance was far more prodigious in his use of sport science than any other athlete. No doubt good training made him a better performer, but the 'little' detail that was missing is that he was also cheating with drugs, and that in reality, this is where he gained an advantage, an unfair, unscrupulous advantage. He acted like he was the super human the sports science stories reported him to be, and as it turns out he treated others like garbage if they didn't do his bidding to back his phoney character. So he's a cheater, a fake, and a bully. The cancer story was heart felt and compelling. I was personally inspired by this. So was my breast cancer surviving mother, so were millions world wide. Personal improvement that people made for themselves through being inspired by Armstrong are still good, It's too bad though that in the end he was shown to be a mere demagogue. What I'm saying is that if someone made their life better via the Armstrong affect, then their life is still better, Armstrong's personal disintegration should not diminish any good that John Q and Susie Q public made for themselves, they simply were inspired to do better, they didn't know the guy was a phoney. Armstrong bad; inspired people good. However, all the products that Armstrong endorsed were sold on a phoney pretence. He sucked in a lot of people who were willing to spend their money on his namesake. Lance Armstrong acted like a pimp in how aggressively he threatened and went after his drug using prostitutes (teammates) for not performing their duties, and for making them work for him during the tour. He pimped out himself, selling his likeness wherever he could to make a buck, all based on a manipulative scam. I'm not shedding any tears and don't feel emotionally devastated. I am disappointed though, not only in Armstrong, but in the management of pro cycling and how dirty the sport is, and how there is so much pressure and desire to cheat amongst athletes, coaches, and managers. Lance seemed like his usual non-contrite self during part one of the interview. I'm not sure if he gets the humanity side of things, but I'm positive he gets how he needs to play his doping admission the way he's played and controlled everything else in his life to benefit him. You would think that with all yammering I do about how bad overeating is that I would be immediately in favor of junk food bans like the one being implemented in New York which limits the sale of servings larger than 16 oz soda's, or pop if you're Canada. I say limits the sale because although you won't be able to indulge your preference for ginormous servings of pop from restaurants in New York City in a single serving, you will still be able to buy 32 oz'ers and more at supermarkets and convenience stores. So yeah they call it a ban, but it's not as slash and burn as some are making it out to be. You can still get 54 ounce of soda at 7-11. There is no ban at 7-11, where overeating is still very convenient. You can simply order two or more 16oz soda's at the same time if you want, if you're in a restaurant where the 'ban' is. So not really a ban. Lot's of sugar, only traces of nutrients. By today's standards 2 cups of pop is hardly considered ginormous, but it isn't necessarily a good thing to have become so complacent with consuming too much that we now regard over-serving as normal. A person is still likely to order a pop like they normally would. Will limit overconsumption of pop for some people. Will support the idea that drinking lot's of pop isn't really a good idea. If people follow through, the average weight of people should decline over time improving the health of people and saving money on health care. 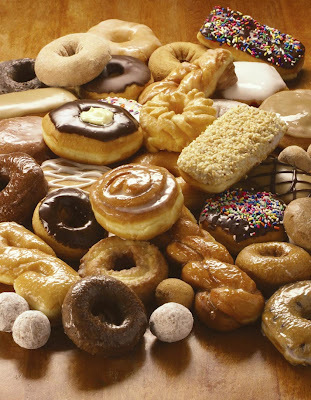 May start to cause the population to make changes in how they think about buying junk food, reducing the perceived need. Nanny state interfering with freedom of choice. No real eating behavior change will take place as people can still buy pop at other places. That's all great about the pro's and con's. Except that despite the uproar about nanny state, there isn't really a ban at all in NYC, if you understand the details of the ban. So for those crying about their rights being taken away, this has not happend. You can still order as much soda as you want, anywhere and anytime you want in New York City. Ok, so there isn't really a ban on soda's in NYC. It's a political move meant to get people thinking about what they're consuming, or so they say. So what about that; and what about the actual idea of junk food bans? Everyone who currently consumes too much will be healthier if they consume less and lose weight. Healthcare costs will go down if the population becomes more healthy. This really would happen if we ate less. So how do we get there? By forcing people? We've all heard the argument that individuals can make their own choices, good or bad, and that people are smart enough to choose for themselves. Might be smart enough to choose for themselves but obviously don't. That's just a simple reality. One that's tough to acknowledge for many individuals. People clearly are not making the best choices with food intake despite the argument they are fully capable of doing so without government intervention. So this argument doesn't really seem all that valid, given the actual practical reality, which is quite removed from theory; people are not choosing very well, to the detriment of their own health and increasing the cost of healthcare for the nation. The majority of the population does in fact make poor choices over and over again where overeating is concerned. That's a simple population statistic that is real and has been repeatedly measured for the past two decades, at least. It's this true statistic that is the main drive behind pushing legislation to reduce overeating food choices. The civil liberty argument wisely says people can choose for themselves and will naturally resolve to make the right choice because of the natural need for self preservation, and because right to choose is a constitutional choice. Not really, and sort of. Again, the reality is; we as a population are clearly not demonstrating our capacity to make the right choices where our health is concerned. Not right now anyway. Maybe we can learn. It is true that individual freedom is a right, but we also have laws that set realistic limits. For instance we can't get away with drunk driving because we choose to. I'm not saying drink driving is exactly the same as overeating, although more people die annually in Canada from complications due to obesity (25,000) than do from drunk driving (1300ish). The numbers are far greater for the US, but still heavily weighted towards obesity. What I am saying is that we take drunk driving seriously like we should, but not so much with chronic year over year overeating and excess weight gain across the population. Nobody is MADD about overeating. Quite the opposite. I think there is merit to the idea that although at first people will oppose junk food bans, over time enough people will adapt. In addition to all the public education that is out there if we simply get rid of the opportunity to overeat in many of the places where we typically overeat, then over time people get used to and appreciate the healthier choices. Or, that could be a nice academic argument, but not necessarily the way public opinion adapts over time. I think there is also merit to the idea that banning junk food will simply cause people to flip the bird to big brother and get their fix somewhere else. Or that the principal of 'food police' is such a slap in the face that people will get stuck on that and ignore the actual overeating issue. Governments appear to be at their whits end (not hard to do when you're short on whits), and are expressing that nothing else is working, people aren't getting it (which is true), so bans are in. I really do personally have a huge problem with the fact that the vast majority of restaurant meals are over 1000 calories. 1000 + calories? That's a joke. A cruel joke. I am in a very small minority. I have been so disappointed so many times at virtually every restaurant I have been to that I have almost stopped going to restaurants all together. From my perspective most are selling gross slop that isn't worth eating. Oh sure, much of it tastes good, and has a nice presentation, but it is so demonstrably bad from a health perspective that for me the meal is crap and a complete let down and waste of money. No, I don't have an anti-restaurant thing. Just looking for some half decent product I can spend my money on. I actually want to go to restaurants because I enjoy the experience. I also enjoy eating at home so I'm not really feeling like I'm at that much of a loss by eating out less than I have in the past. You see, I no longer buy into the idea that part of eating out is the reward of the overindulgence. Overindulgence isn't all that compelling to me anymore. 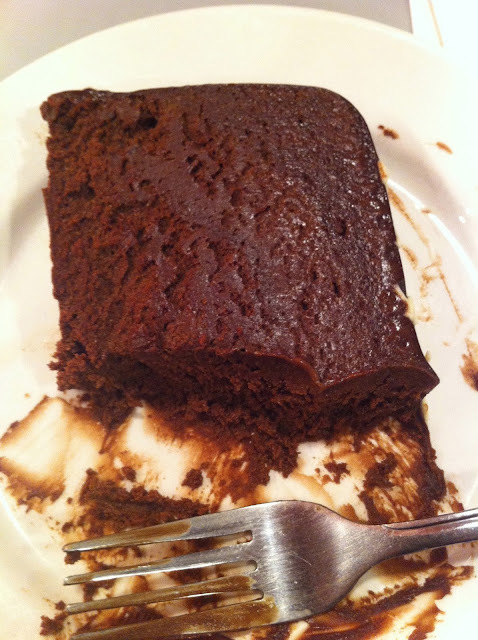 I want to indulge in great tasting healthy food, not in slabs of fat covered in sugar and salt, made to look nice. Iv'e got room for a desert of chocolate badness as long as it's not too freaky big, but I don't have room for the 800 calorie appetizer, the 1200 calorie, meal, and the 500 calorie desert. 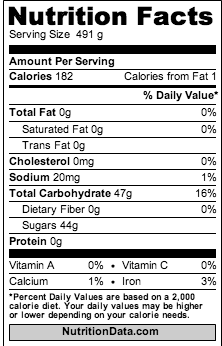 And when nearly all meals are over 1000 calories and there are only 2 or 3 choices under 1000 cals, my choices are far more limited than what the fat bomb part of the menu offers. Further, most of the lower calorie meals are simply smallar versions of the bigger fat bombs. The smallar meals aren't all that healthy either. I'm not making this about me. Ok maybe a little.. What I want to show is that demand for unhealthy meals is so large that even if you want to eat healthy, your choices are are far less compared to calorie bomb choices. Try to ban any part of this and you'll upset a lot of people who buy into and sell the huge meals. People want huge meals and restaurants are all too happy to promise bigger meals for better deals, and neither the seller nor buyer want's restrictions on this access to a whole lotta love. I do see a light at the end of the tunnel. Hopefully it's not astigmatism. One that might not require junk food bans, or fake bans like the one in New York. With no junk food or calorie bans, many restaurants are starting to serve healthier choices and some restaurants shtick is presenting an entirely healthy menue, and these restaurants although small in number, are typically very busy. As much as I dislike the idea of selling calorie bomb meals because of how seriously bad they truly are, I can't get passed thinking that bans might backfire or might not be as effective as promised. Maybe though, people will personally get sick of feeling like crap from overeating and will gradually demand healthier meals. If this happens restaurants will respond with delivering healthier products. The trend for overeating is currently still growing and is larger than the trend to eat and live healthy. Maybe the junk food ban is actually part of the healthy trend and we can't see it yet because we're so into junk food right now. Maybe the junk food ban is an act of desperation and not well thought out. In the end though, no matter how much I write or anyone writes about how passionately they feel about their view and quoting statistics, law, and precedent, and calorie counts, eating healthy is factually dramatically better than eating too much. Eating too much does cause personal harm. In the end we all make our choices. It is ultimately an individuals choice. Right now most are willing to defend the idea that overeating is not only a personal choice, but also the preferencial choice. When I made the switch it wasn't from someone telling me to do so or a government intervention. It was because it seemed to me that the healthy choices had more to offer in return that the calorie bomb meals I used to adore. If more healthy choices are made all this goes away, and for the better. Here is a great video on the New York City 'soda ban'. It's funny and to the point. 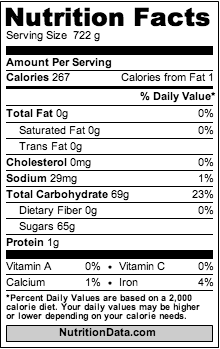 One of my favorite diet analyses websites is eatracker.ca. You enter all the food you eat in a day and the free web-based software tells you everything you need to know about what you're eating. I mention eatracker a lot because I really want people to use nutrition tools to rebuild their diets into nutrition powerhouses with no gimmicks. I've rarely had a person express excitement about eatracker, or any other nutritional analyses program or app, web based or not. In fact most of the time nobody will go near eatracker. Even after months of suggestion most people I work with refuse to use diet analyses software, to see a registered dietitian, or to tell me what they eat. A frank analyses of what one eats seems to be treated like a prickly porcupine, nobody want's to touch it. The main complaints are that it takes too long (it doesn't), and that it's too complicated (it's not). For those who enjoy baking, a new sugar-bomb, fat-bomb recipe for a cake, cookie, or muffin will be given a lot of attention. After all, the anticipated reward of biting into fresh baked ooey gooey goodness is very appealing. If the new recipe requires ingredients not in the house, a special shopping trip is in order. An unhealthy recipe is revered as the path to reward. Using nutrition software is no more complicated than following a recipe, but in reverse. However it's reviled as the path to restriction and removal of reward. I steam my broccoli for 4 minutes. I read a research paper that showed that steaming broccoli for 4 minutes increases the antioxidant release from broccoli. Sounds good to me. I've had so many people say to me that I take it (healthy eating) too far with finicky details like steaming broccoli for 4 minutes. So what about brewing coffee for X minutes. How about throwing coffee out if it stands more than 20 minutes. What about the old standard of boiling pasta for 7 minutes. What about the 3 minute boiled egg. Ever set the timer for baking? Ever pay attention to how long a 10 oz steak is cooking? How about deep fried or oven fried french fries? What? You mean you have a timer in the kitchen? Whoa, whoa whoa.. Get out! Your stove has a built in timer? All restaurant kitchens have timers? What the heck for? Say what? Timing the cooking of food? Whatever the process is, if it's applied to not so healthy food or food that isn't really considered healthy or unhealthy, the process is normal and justified. Apply the same process to something that is perceived as 'healthy' and suddenly the process is arduous. It's an extra step. It's time consuming. Maybe even a little over the top. There is a decided prejudice against healthy choices. I've also found that many will be hesitant to learn what they're eating because ultimately they know that it won't be all good and the outcome will be that they should eat less of the bad stuff and more of the good stuff. Facing these plain right-in-front-of-you facts is very hard for many people as research shows most people will under-report the amount of food they eat to avoid the issue of overeating. Once hooked, we really, really want to keep revisiting the hyper-rewards of overeating. Diet analyses is seen as the reward blocker. The irony is that maintaining the unhealthy diet saps our energy, makes us overweight and reduces quality of life. That which we seek with so much tenacity just happens to be that which ultimately is making us feel like crap overall, save for those few minutes that our brain is getting a dopamine hit from overeating. Once I personally experienced the change in how good I felt from chronic healthy eating vs chronic not so healthy eating I became hooked on healthy eating. Eatracker and similar programs became a source of reward because I can use these tools to help make my nutrition choices better and more informed. So what's the difference between taking the time to purposefully eat unhealthy vs purposefully eating healthy? It doesn't take more time to make a homemade burger with lean or extra beef or ground chicken or turkey compared to regular beef. It doesn't take more time to make the patty smallar rather than larger. It doesn't take more time to put on less mayonnaise or skip the mayo. Once we get down to reality it's clear that healthy choices are not complicated and not more time consuming than less healthy choices. There is one reality that is difficult to overcome and get used to. As rewarding as healthy food is to eat, it can't achieve the exact same level of instant gratification dopamine stimulation as food that is dense in fat, sugar, and salt. A good way to look at this is that the hyperpalitability of calorie-bomb food is unnatural. It's true that it clearly feels good at the moment, but it ain't good. It really is like learning to quit smoking. Sure, to the smoker having a smoke feels rewarding at the moment, but it's kicking the crap out of the body. It's not worth it. Ex smokers will tell how great it feels to not be hooked anymore and that ultimately healthier choices provide more overall reward than they ever received from the instant gratification of smoking. BTW healthy eating doesn't mean not eating chocolate muffins. It meas not eating too many chocolate muffins. Everyone I know who has got to the place where they lose weight in a healthy way or didn't need to lose weight but started eating more healthy, have been surprised at how good they feel. Healthy eating doesn't give you that big smack of dopamine and neither does using eatracker. The same level of instant gratification wont happen, so let that go. Once you feel the overall greater reward of what a healthy weight and healthy living does for you, you may get hooked on living healthy. I shouldn't be surprised, and really I'm not, but I still shake my head and sigh with the feeling that one more has succumbed to the pull of the dark side. It isn't as though Oz only recently began peddling false miracles as the article suggests; he's been pushing questionable exercise and dietary practices for years. Shows like the Dr Oz show are bent on pomp and circumstance to attract and engage watchers. The fitness and diet business is mostly about phoney hoopla. Many who start out with good intentions swearing they will never cross the line and start selling quick fixes and hyped promises eventually cave. The money and recognition is much, much better on the dark side. I get a daily email newsletter from a kinesiologist who's made quite a name for himself for being a speaker on exercise, focusing on injury rehabilitation. When he first started it was all about the facts. Very helpful meaningful information on injury prevention. Gradually over the years the questionable stuff started to leak in. Most recently he started selling one of those goofy 'cleanse' products. I've now unsubscribed from the newsletter. The biggest challenge? These goofy idea's are so prevalent that they compete head to head or better, with legitimate facts. The facts are so twisted or obfuscated that the phoney information begins to seem viable. It's so hard to talk about reducing calories to reduce body fat when the advertising power of fat burning cleanse juicing metabolism super booster is so ever-present and so much more enticing and magical. The thing is that going for a walk and eating a little less is far less complicated than buying into a diet fad and the weird, contrived food combinations and restrictions therein. Yes of course healthy diet and exercise is more than just eating less and going for a walk, but starting with those two things is simple, costs nothing, and produces a result. It's a better place to start than what the Dr. Oz's of the world are peddling. I hope the hucksterism becomes the lesser instead of the current greater. Hope doesn't count for much though.. sigh.. Your intentions were good and you were initially gung-ho about about getting more active but somehow it fizzled out. Where did those great feelings and motivating expectations go? Research on what drives human behaviours is fascinating but is notoriously difficult to design a study that isn't tainted with bias and other scientific control requirements for a good study. To answer the question I've presented here the answer that seems to have the most scientific consensus is that true emotional and reward association changes did not occur. The practical translation is that if you found yourself drifting back to old habits it's because your origional learned, habituated reward seeking is still intact. The 10 oz steak is still more appealing than the 3 oz steak. Not exercising is still more appealing than exercising. Additionally it may be that healthy eating and regular exercise are still viewed as a form of restriction or even punishment. Why would anyone keep doing something they thought was this negative and unrewarding? A common irony that many of you may have experienced personally (myself as well), is that the reward you want to give yourself for having consumed healthy food or participated in exercise is; overeating unhealthy food - the very thing that causes weight gain in the first place. Burned off a whack of calories the last time you exercised? What are you thinking about? How rewarding it's going to be to eat that extra whatever; or how good you feel for having exercised? If extra food is still a primary reward provider then that is where we'll end up, especially if we think we've been 'putting up' with arduous healthy eating and exercise. Ate healthy? You poor thing! Terrible that you had to suffer through that. It's ok though, just reward yourself with overeating. That's why there is an approximate 85-95% failure rate in sustaining healthy habits beyond the first few months of trying. There is an attempt to change actions but a limited attempt to change how we cognitively and emotionally process how our sense of reward and well being is associated with our actions and beliefs. Hard to quit something you love and do something you hate. There are some other interesting human behaviour things that occur where behaviour change is involved. Study subjects who participated in weight loss studies and were successful in losing weight tend to gain all the weight back after the study is over. What? So you're a living example of scientific proof of successful weight loss. Simply continue living with the same habits you were asked to do during the study and you're set for life. Seems logical. Logic is great until emotion screws it up. Some researchers believe this is due to something called the Hawthorne Effect. Although there is great controversy over what exactly the Hawthorn Effect is or isn't, the term is often used to refer to how a person is affected by being observed while doing something they feel they are expected to do. If you're in a jumping contest what else are you going to do other than jump as best you can? There isn't anything else to do other than choose not to participate. If you really like jumping you're going to keep doing it after the contest is over. If you're not into vertical accomplishments the jumping is over when the contest is over. A possible explanation for weight loss study subjects who regain weight after the study is over is that the only reason they followed the weight loss study protocol is because they knew they were in a weight loss study and that their activities were being monitored and tracked. The study subjects wanted to apease the researchers. Because the study subjects had no real internal drive to lose weight for reasons they held as personally important or rewarding, other than the sense of reward they got from appeasing the researchers.. take away the study and you take away the only thing that was motivating the person. I've seen similar behavior with people who work in the fitness business and with athletes. As soon as they're not in the business or the sport anymore, the healthy eating and exercise is replaced with little to no exercise and overeating. This happens during the off-season as well. Many who are active in whatever tend to gain weight and lose fitness during the off-season and typically lament these negative effects and wish they didn't have the setback to contend with when the next season started. Weight gain and loss of fitness occurs. So what's happening here? We've all heard that consistency over long periods is one of the key predictors of long terms success with continuing to live with healthy habits. The reward of overeating and not exercising is greater than the reward of maintaining healthy eating and regular exercise. One of the milestones is the six month mark. If you can make it through six months of healthy habits with few regressions you have a much better chance of retaining the habits long term. If this is true how do we have athletes of any stripe experiencing unhealthy weight gain and tremendous loss of fitness within mere months of stopping sport? Ditto for fitness pro's.. The thinking on this is that so long as you are in the environment where external expectations to perform are placed on you and you feel compelled to meet the expectations of others (rather than mostly from satisfying yourself), you will no longer feel compelled to perform once removed from that environment. 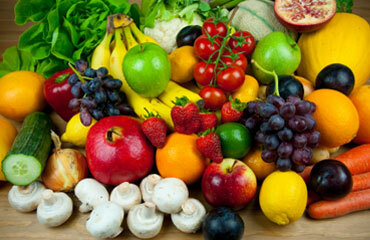 A person may have tricked themselves into believing that they are into healthy living. In reality they were into feeling accepted only when they met the expectations of the environment they were observed in. How's that for a mind-bender? Play this out and ultimately a person would have tricked themselves into eventually losing fitness and gaining weight because they were never really into fitness or good nutrition other than meeting work or sports requirements. So how do you tell if you're really into it or if you're destined to regress to weight gain and loss of fitness?